Stable Energies is officially joining the Club Loose Support Team. Stable Energies has been around since 1978 providing the best in performance and safety gear to the racing community. They provide distribution and support for pretty much any of the safety equipment you need to hit the track. Stable Energies will be offering Club Loose drivers a 10% discount on just about everything they sell when you are either shopping in the store, online or over the phone. That discount can be used from Seats, Gloves, Suits, Shoes, Helmets , Harnesses , Fire Suppression Systems and just about anything needed to get your car ready to shred for 2018. They also tend to have a couple of specials that we E-mail, which at times is higher than their standard discount. Carlos will be the contact point for Drivers setting up their customer profiles to obtain the Clubloose Discount. He will need some basic information from the you including first name, last name, address, phone number and E-mail address. They need to verify that you are a Clubloose Driver, so either pictures from an event you attended or even a screenshot of an event you paid for and also the make and model of vehicle you’re driving. If you’re a new driver to Clubloose than that’s fine, they just need to know what events the plan on doing ahead of time for review. This is a great opportunity to get a good deal on the new helmet or seat that you desperately need. Stop in at the shop and get fitted for the right stuff. They have a great showroom with tons of different options to test out. 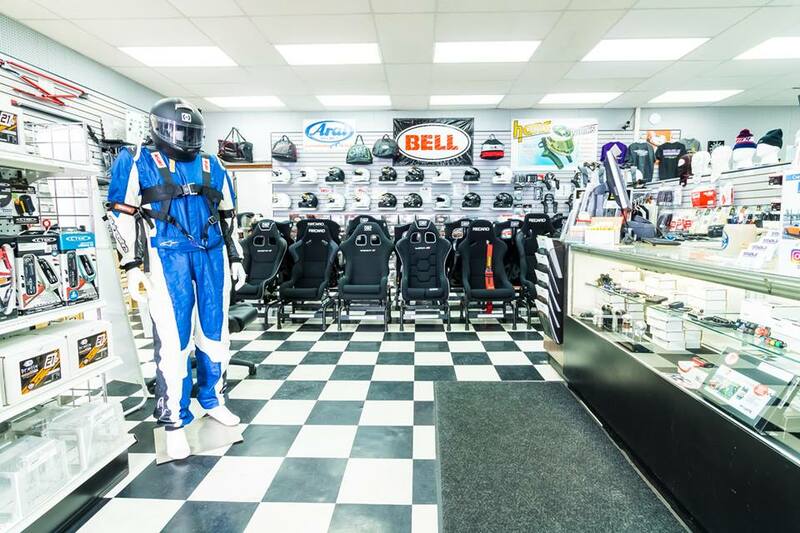 The right safety gear will help you become a better driver by making you more comfortable in the car and feeling good the whole time that you’re out on track. So do yourself a favor and take advantage of this great opportunity.